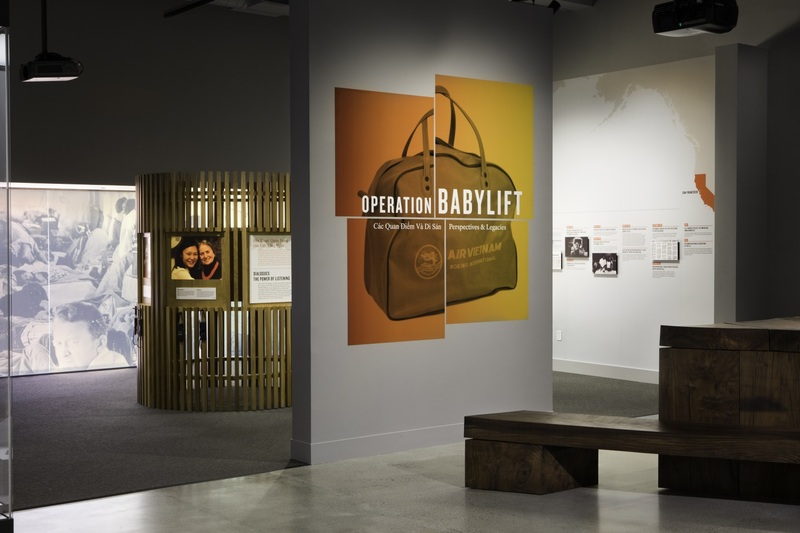 Adoption Museum Project co-curated this powerful project with the Presidio Trust. It explores Operation Babylift, a complex moment in adoption, U.S. and world history that resonates today. The project included a physical exhibition and public program series. The exhibition ran for nearly one year, from 4/16/15-4/3/16, at the Presidio Officer’s Club in San Francisco, California. It received over 33,000 visits and was nationally honored for excellence in label writing. Understand the project at a glance. Look inside the exhibition gallery. Read visitor reflections of the exhibition. Learn about the public program series. Review the project’s goals, guiding principles, development process and our partnership with the Presidio Trust.